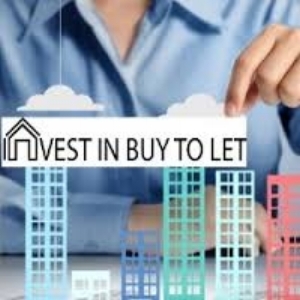 Why are landlords choosing to purchase Buy-to-Lets via a Limited Company? Until April last year, private landlords who owned properties in their own names could deduct both mortgage interest and other allowable costs associated with a let property from their rental income before calculating how much tax is due. This meant the income they had to declare to HMRC was much lower than their rental income, keeping their costs down and keeping many in a lower income tax bracket. But since April 2017 landlords have begun to see the amount they can write off for tax purposes drop by 25% each tax year until 2020 when they will have to declare all of their rent as income, pay income tax on the total and then claim back for 20 per cent of it as a credit. However these changes don't apply to buy-to-lets owned by a Limited Company. Because these properties are viewed as a business, all expenses can be written off for tax purposes. Landlords can still take an income in the form of a dividend and will pay tax on this only - in theory cutting their tax bills significantly - but they need to watch out for the tax on taking those dividends or eventually accessing any profits rolled up within the Company. For landlords who already have buy-to-let properties, one option is to refinance into a Limited Company structure. Clearpath were recently approached by a Husband & Wife property investment partnership who each owned a portfolio of buy-to-lets in their personal names and where unable to obtain any more Buy-to-Let mortgages as they’d reached their personal maximum – in order to keep acquiring property they took personal unsecured loans and borrowed from friends & family which was costly and resulted in unsustainable monthly repayments. In addition to managing their property portfolio, both parties worked full time and faced a tax liability based on both employed income plus rental income. Clearpath were able to assist the couple with incorporation of a New Special Purchase Company and sourced them a loan of £425,000 - £325,000 to restructure their existing debt plus an additional £100,000 to be used as a ‘hunting fund’ for further acquisitions. The loan was secured at a rate of 3.7% over base rate and repayments were based on a x20 year amortisation profile which resulted in a repayment of £2,650 p.m. – a significant reduction on their existing repayments. As detailed above, the New Company structure was also the most tax efficient structure and will result in a considerable annual saving. 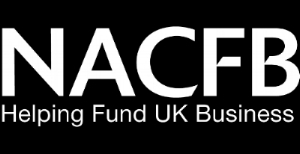 Clearpath Finance wholly owned by GDP Partnership LTD, is fully licensed and regulated by the FCA and a member of the National Association of Commercial Finance Brokers (NACFB).